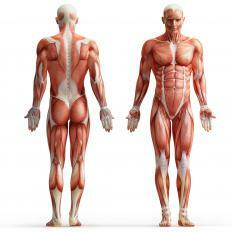 Muscle confusion is a theory behind certain body building and fitness systems. The basic idea is to constantly change the exercises being performed so that the muscles themselves never get too comfortable in a particular routine. In theory, this will keep a person’s exercise routine constantly challenging, which could lead to a greater overall increase in performance, muscle size, or athleticism. There are quite a few skeptics who don’t believe in muscle confusion and others who think it works for reasons other than the intended ones. Experts who favor muscle confusion routines believe the body is very adaptable, and they think the key to building muscle is to constantly challenge the body. In an effort to achieve this goal, people who follow these routines will frequently switch to a totally different set of exercises. Sometimes this can be arranged on a set schedule, and in other cases, it might be based on the person's individual progress rate. When people follow these routines, they often focus on alternating between different muscle groups. For example, someone may work out his or her arms for a week then switch to focus on the leg muscles or the core for another week, and then switch again. In the same way, people may switch between strength-training and cardiovascular exercise. The approach used will generally depend on what goals each person has in mind. Some people are totally against the muscle confusion approach because they see it as being in opposition to a more traditional fitness plan. These people believe that as muscles adapt, it is better to simply apply a heavier load. They also feel it may be counterproductive to spend too much time on other muscles because it’s possible to lose some previous forward momentum. People who favor muscle confusion also prefer gradually increasing loads as the body gets stronger, but they think that switching muscle groups frequently is important for getting the maximum benefit. There are also people who don’t buy into all of the muscle confusion theory, but still think that it can be beneficial. This is because muscle confusion routines force people to give their muscles time to rest so they can heal, which is considered important by most fitness experts. Muscle confusion might also help some people stick to their routines more effectively by making exercise more fun and diverse. Some people believe boredom is one of the most common problems people face when trying to stick to a workout plan. What is the Difference Between Memory Loss and Confusion? What are the Different Types of Calf Muscles? What is the Muscle Confusion Workout? 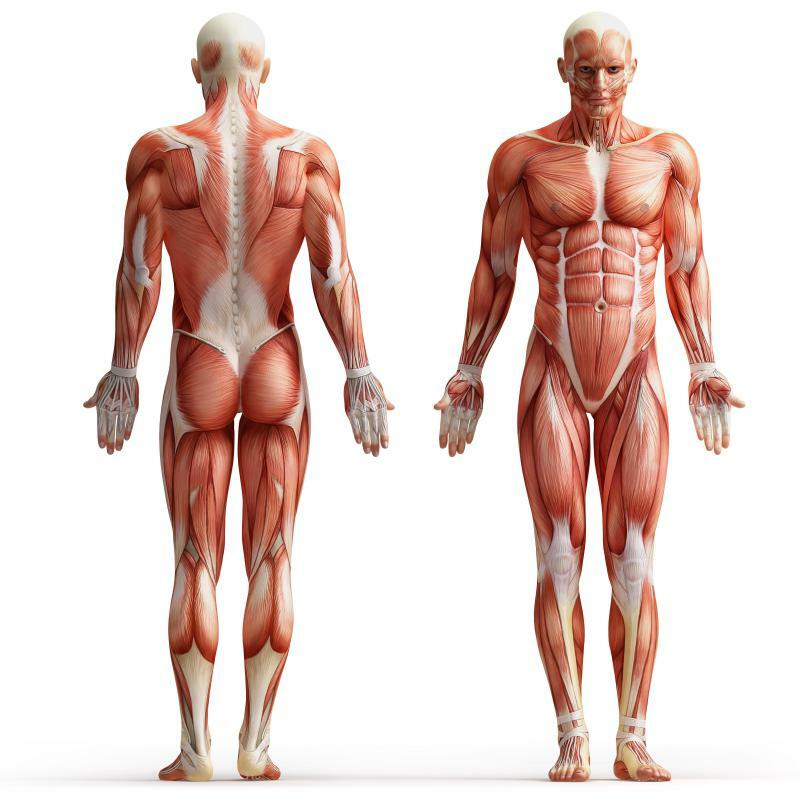 What is a Striated Muscle? What is the Best Muscle Building Workout? @SarahG - I am a woman also and totally believe in muscle confusion workout routines. I have a girl friend who also tried the P90X. She didn't think she could do it at first but Tony Horton (the creator) shows how to modify every exercise so that you can avoid injuring yourself. I don't think I could keep up with that group either, though, and have found my own way of creating muscle confusion: I do something different every day. I go from biking to weight lifting, swimming, aerobic dance, pilates, belly dance and yoga. This way I never get bored and my muscles are always being used in different ways. This can keep you from plateauing, so mix it up and enjoy! A current muscle confusion workout plan that you've probably seen advertised on TV is the P90X ninety-day program. My husband rose to the challenge and bought the dvds. He followed the eating plan and worked out every day for six days a week. After the first week I could see a visible fat loss in his abdomen. I really didn't expect that he'd be able to change his body that fast. He stuck with the program for the 90 days and has really created a body of a much younger man. I have no intentions of trying it myself, it's a bit too challenging for me. But I have seen the way muscle confusion workouts challenge the body and change the body in a short amount of time.